Ray and I had an absolute blast in New Orleans this last weekend. 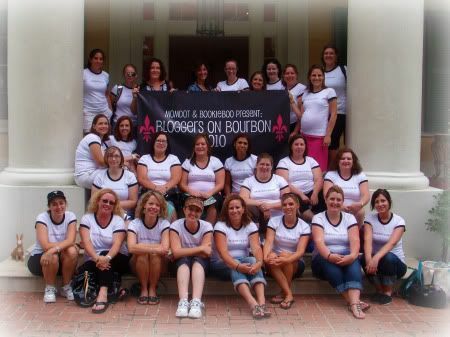 As you may know, it wasn’t just the two of us all weekend, but we specifically went to hang with the fabulous Bloggers on Bourbon (aka BOBNOLA) gang. I can’t wait to tell you all about it, but first I must upload pictures, edit videos, organize my thoughts, and sleep for a solid week. Im so mad im not in this shot. Can you photoshop me in?